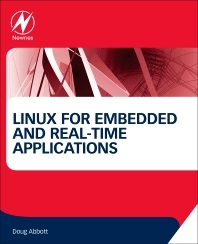 Linux for Embedded and Real-Time Applications, Fourth Edition, provides a practical introduction to the basics, covering the latest developments in this rapidly evolving technology. Ideal for those new to the use of Linux in an embedded environment, the book takes a hands-on approach that covers key concepts of building applications in a cross-development environment. Hands-on exercises focus on the popular open source BeagleBone Black board. New content includes graphical programming with QT as well as expanded and updated material on projects such as Eclipse, BusyBox – configuring and building, the U-Boot bootloader – what it is, how it works, configuring and building, and new coverage of the Root file system and the latest updates on the Linux kernel..
How and Why Does Linux Fit In?